Impacted wisdom teeth are common and can often be safely and effectively removed in-chair under local anaesthetic. We look after every aspect of your oral health and comfort during and post-procedure, providing optimal recovery time and minimal disruption to your busy life. First step is a consultation appointment with one of our qualified dentists. A few days before your wisdom teeth are removed your Anaesthetist will contact you to discuss the procedure and care arrangements on the day. 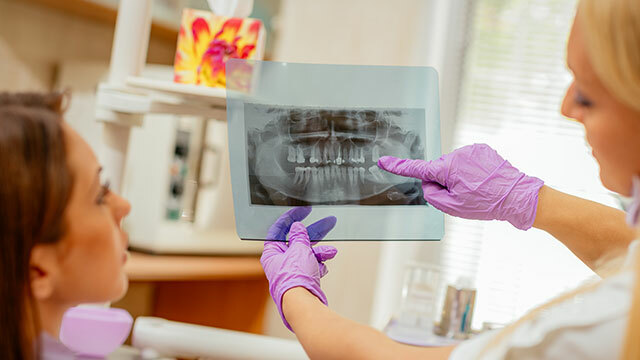 You may choose to have your wisdom teeth removed under local anaesthetic and the dentist will discuss this process and your post-procedure care with you. Same day emergency wisdom teeth removal under local anaesthetic is available. Second Step is the removal of your wisdom teeth under IV sedation. You will be made comfortable and fully sedated by your Anaesthetist prior to the surgery. You will be given pain-management medication prior to waking up and you will be ready to go home with your carer approximately one hour after the procedure is completed. Third Step is a post-procedure appointment two weeks later to review your healing. Recovery will depend on the individual but generally you should be ready to go back to work 2-5 days after the procedure. We will provide you with a script for appropriate pain-management medication should you require it, and with a medical certificate to cover the period of time you require off work. By pushing up against the surrounding teeth on an angle an impacted wisdom tooth can increase the risk of cavities in both teeth, and create deep gum pockets that can not be cleaned. 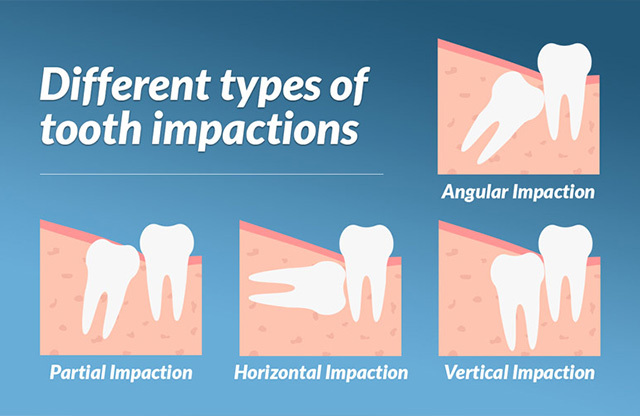 Impacted wisdom teeth can cause movement of the neighbouring second molars (12 year old molars), shifting their position in the mouth. This can cause further movement of the surrounding teeth that contributes to overcrowding of the front teeth. The gum around a partially erupted wisdom tooth can become repeatedly infected. Infections can also occur under the gum line. Initial symptoms of infection can include pain, swelling and stiffness in the jaw that make it tender and very difficult to chew. It is critical to treat any infection as soon as it occurs and the infection must be resolved before the wisdom teeth can be removed. Our team is here to help you. Please do not hesitate to ask any questions you may have about wisdom teeth and their removal. Simply fill out our contact form and we’ll contact you quickly to book your consultation. Or, if you’d prefer to talk, please call us on (08) 9328 5027.